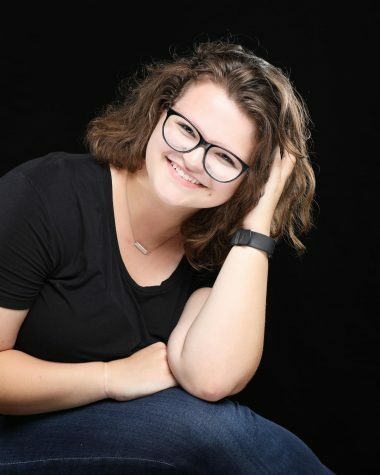 From looking at the middle school and high school yearbooks, Sarah Schorle has had a passion for journalism for a while. Schorle is one of the co-editors in chief for the Javelin, working with Hannah Alff to ensure the pages are designed in the desired way. “Everything that’s published in the book goes through us,” Schorle said. Her goals are to focus more on giving a “voice” to activities that aren’t always in the spotlight. Schorle said her favorite video game character is “whatever SIM I am currently torturing.” Her favorite teachers are Alex Bales and Jarrod O'Donnell because “both have been there for me through success and stress, and miraculously still put up with my shenanigans.” Despite this, government and philosophy are her favorite classes. She claims they help show us things about ourselves from something other than a biological standpoint. Originally Schorle planned to follow a career path in journalism, but instead, she now plans to major in Theater with a minor in Arts Management.